On this episode of “Road to Omaha,” KVNO’s Brandon McDermott interviews Kevin O’Sullivan, head baseball coach at the University of Florida. 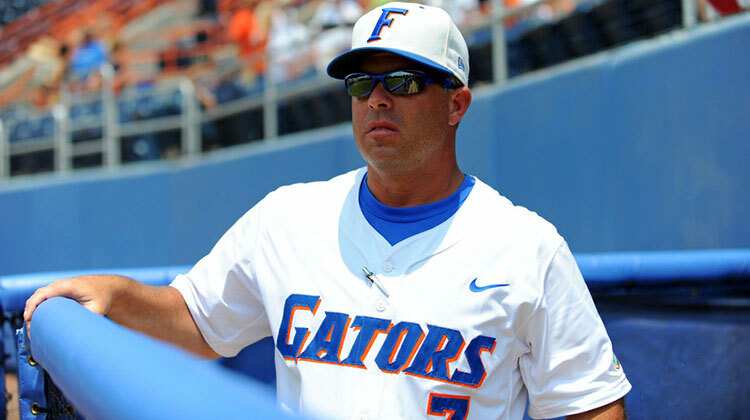 Omaha, NE – Kevin O’Sullivan has been the head baseball coach at the University of Florida for ten years now. In that time he’s had a bunch of success: notching 9 NCAA Berths, 5 College World Series trips and 4 SEC Titles. O’Sullivan lauded two seniors who’ve been leaders this year: Ryan Larson and Frank Rubio. The Gators earned 6 all-SEC selections this year, but no first teamers – that may shine light into this year’s team being one very good depth and balance. O’Sullivan said he is “very confident, very fortunate” to have Alex Faedo and Brady Singer on the mound as starting pitchers. The two are combined 14-5 on the year with 195 pitchers to 46 walks. He also mentioned Jackson Kowar who led the SEC this year with a 10-0 record and a 3.84 ERA. and how confident are you in them every time they take the mound? O’Sullivan said he is giving the team solid scouting reports and “stay out of the players’ way,” because they’ve had tons of success this year. Florida will take on Auburn Wednesday at 8 p.m. CST. The Tigers who won over Ole Miss 5-4 on Tuesday, swept Florida in the regular season in Alabama.